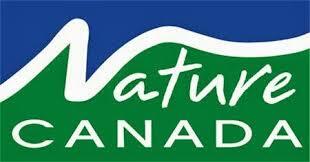 From the Association to Protect Amherst Island is this call for help. 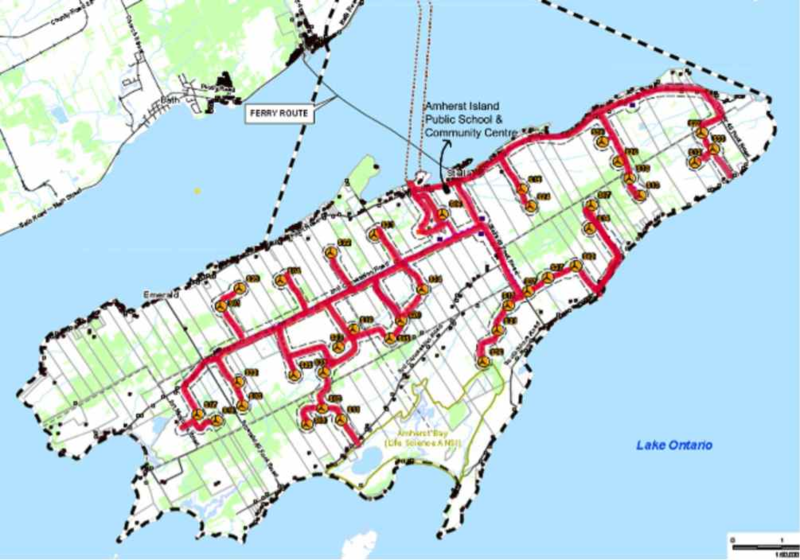 A 27-turbine wind power project proposed for internationally recognized Amherst Island, an Important Bird Area near Kingston Ontario, may be approved soon by the Ontario government. The many Species at Risk on Amherst Island include birds (Short-eared Owl, Bobolink, Eastern Meadowlark, Eastern Whip-poo-rwill, Barn Swallow, Golden Eagle, Least Bittern, and Red Knot), Blanding’s Turtles, and Milk and Ribbon Snakes. Amherst Island has an international reputation as one of the most outstanding places in North America to see concentrations of northern owls and is an important stopover for bats on their migratory path across Lake Ontario. Bats are becoming endangered in many places and in April 2015, Canada, the United States and Mexico signed an agreement to protect the pathways of migratory bats. A wind turbine installation on this small island, as learned from the nearby Wolfe Island installation, would result in loss of habitat for Short-eared Owl and serious and irreversible harm to local populations of Bobolinks, Barn Swallows and Eastern Meadowlarks, and to breeding population of Red-tailed Hawk, breeding and roosting Purple Martins, and Osprey. Additionally significant breeding population of Blanding’s Turtle, Wilson’s Phalarope and Whip-poor-wills are also at risk. No one is considering the cumulative impact of this project and the many others that are operational or proposed for this important migration route on the vulnerable populations of birds and other wildlife. Another presentation from last week’s ideacity conference. Viscount Christopher Monkton spoke on the cost-benefit analysis of large-scale wind power development (something the Government of Ontario has never done, in spite of recommendations from two Auditors General). He uses the example of the proposed Navitus wind “farm” in the U.K. which will forever alter the Jurassic coastline, as he points out in detail, for zero benefit to the environment or the economy. We are re-posting this article which first appeared in Ontario Farmer: there is some confusion as to what the liabilities related to financing for landowners actually are. The “charge of lease” or “demand debenture” is registered on title but it is NOT THE SAME as when a mechanics’ lien is placed on a property for unpaid debts. Please read the article by Garth Manning QC and Jane Wilson, below. It is important to be clear as the wind power developers will capitalize on any inaccuracies put forward by community groups. Garth Manning is a retired lawyer and former president of the Ontario Bar Association, who lives in Prince Edward County. Jane Wilson is president of Wind Concerns Ontario. Suncor Energy says it already has enough land leases signed to host a 75-megawatt wind energy centre in Brooke-Alvinston. And despite vigorous opposition from some landowners “we have enough landowners for a 75-megawatt project,” says Project Manager Marnie Dawson. Senator for Victoria John Madigan delivered a powerful speech last week on the punishing effect of Australia’s green energy policies on that country’s electricity ratepayers, on the economy generally, and how the policy benefits the wind industry while not achieving environmental goals. Senator MADIGAN (Victoria) (12:16): Today I am going to lift the lid on the economics of the RET scheme, while speaking on the Renewable Energy (Electricity) Amendment Bill 2015. I am going to give you the inside story on the money trail of the wind industry. This is the story that neither side in this place, nor the Greens with their wind industry fundamentalism, want you to hear. The subsidy for renewable electricity, legislated in the REE Act 2000, is paid for by electricity consumers in their power bill. There is government modelling that discusses the effect of renewable energy on the wholesale price of electricity. The industry claims that the RET scheme reduces the wholesale price of electricity, which it does as it creates an oversupply of the market. The modelling is based on this effect. This effect is irrelevant, as the subsidy is paid by the consumer in the retail price of electricity. This price is agreed by the generator and the retailer in their power purchase agreement, PPA. Aspects of RECs, such as the need to build thousands of megawatts of gas power to back up wind at a cost of billions, and expenditure on connecting wind farms to the grid will be a major factor in power price increases over the next decade. It could be two to three hundred per cent. When you study the states of Australia that have had dramatic increases in their household power bills in recent years you will find a direct correlation to the number of wind turbines that have been connected to the grid in those states. You will find the same correlation in European countries. No-one in this great house will talk about the economic effect of this amending legislation. I am one of the few senators who are in a position to do so. The coalition government find themselves in a conundrum. They have buckled under pressure from the wind industry to negotiate a deal with the ALP on the reduction of the target. Some say that this reduction will see up to 2½ thousand new wind turbines, built across prime agricultural land in Victoria, NSW, Queensland and South Australia. That is more than twice the number of turbines that we already have operating. This amending legislation is designed to give the financial sector some investment certainty, which the industry has been so desperate to provide. But at what risk? The financial risk is very significant. While some debt financiers will be sensible enough to recognise the regulatory risk involved in going forward with technology, the safety of which has been questioned in a pilot study commissioned by Pacific Hydro, I fear our Clean Energy Finance Corporation will not be one of them. The CEFC was designed by the Labor government to increase investment in renewable technologies, to the tune of $10 billion. The coalition government therefore finds itself in an unsustainable position where it is supporting the continuation of an outdated scheme that will inevitably collapse. In 2000 the Howard government, unquestioningly, introduced the REE Act, which was concocted by some of the greatest financial magicians in our history. This financial rort was then supported throughout the Gillard government years and was strengthened by the establishment of the CEFC, ARENA and billion-dollar-deals with Chinese wind turbine manufacturers. The amendment will now follow one of two paths: option 1 is that it will not be supported by my Senate colleagues, in which case the target will stay at 41,000 gigawatt hours, which will activate the $65 shortfall penalty charge in 2017. This, coupled with the REC price, will leave consumers with an effective $93 carbon tax, paid for by consumers in their household electricity bills. The electorate of Australia have already voted down a $28 carbon tax, so the threat is clear: the coalition government may lose the next election based on this amendment under the directive of the Minister for the Environment. Or option 2: the amendment will be supported by the majority of senators and will pass, thereby setting a new target of 33,000 gigawatt hours—a level which will see the construction of up to 2½ thousand new wind turbines, which will create such havoc in our electorates and rural environments that there will be widespread community outrage. To satisfy a new 33,000 gigawatt-hour target, 495 million RECs will have to be surrendered by electricity retailers. This will lead to a shortfall of 240 million RECs, as only16,000 gigawatt-hours will be available annually, and only 256 million RECs will be available to satisfy the LRET’s remaining 495 million megawatt-hour target, set under this politically deceitful amendment. When the shortfall charge is triggered and the REC price goes up to $93, the total cost is added to power consumers’ bills and will top $46 billion. A wind turbine operates, on average, only 27 per cent of the time—when the wind blows. There are 8,760 hours in a calendar year. Therefore, at 27 per cent, a three-megawatt turbine will generate $659,985 in subsidies per year. If you use the industries claimed 35 per cent capacity factor, each turbine will generate $855,414 each year. That subsidy is paid annually until 2031. Each three-megawatt turbine can generate a total of $13.5 million over the remaining life of the LRET scheme. The RET subsidy, including small-scale solar, has already added $9 billion to Australian power bills. At the end of the day, retailers will have to recover the total cost of the RECs issued, and the shortfall charge, from Australian power consumers. No matter if this amendment is supported or not, each and every Australian household will pay a $93 carbon-tax-equivalent in their power bills, increasing bills by up to possibly 300 per cent. It is, without question, obvious that the imposition of what is a $45 billion retail electricity subsidy is going to have an adverse economic consequence for industry, small business and households alike. In my home state 34,000 homes were disconnected from the electricity grid because they could no longer afford to pay their power bills. The imposition of the coalition’s electricity tax will naturally lead to tens of thousands more families attempting to live without power. The situation is mirrored in other states. Electricity has gone from being a basic necessity to a luxury good for many hard-pressed Australian families. While certain members of the coalition government claim that the RET scheme is family and business friendly, perpetuating the wind industry line that it carries with it no significant cost to power consumers, the efforts to exempt energy-intensive trade-exposed industries reveals that argument to be a lie. This is deceitful. If there is no cost to power consumers from the RET scheme, then why the need to exempt energy-intensive industries such as aluminium smelters? It is simply policy hypocrisy. At some point this parliament will act to properly control the operation of wind farms by placing conditions on access to subsidies. The potential for that kind of regulation is a detrimental point of risk for bankers and investors. Published first by wind action. “Doesn’t matter if it’s in Japan, or Germany, or anywhere in the world,” said Carmen Krogh at the ideacity conference in Toronto yesterday, the symptoms of exposure to the audible noise and infrasound/low-frequency noise emitted by utility-scale wind turbines are the same around the world. “Brave people stepped forward in 2009,” Krogh said, recalling how she got involved in her journey of investigating the health effects from wind turbines. The wind energy “road map” in Canada is very interesting: wind power development is essentially industry-led, to the detriment of Canadian citizens. Krogh also discusses the appeal process in Ontario, and the tough “burden of proof” set up by the industry-led government regulations. The Australian Senate has released in interim report based on findings at hearings held this year. Why are there so many people who live in close proximity to wind turbines complaining of similar physiological and psychological symptoms? As with previous Senate inquiries, this committee has gathered evidence from many submitters attributing symptoms of dizziness, nausea, migraines, high blood pressure, tinnitus, chronic sleep deprivation and depression to the operation of nearby wind turbines. The committee invites the public to read and consider the evidence of people who have experienced these symptoms and who attribute their anxiety and ill health to the operation of turbines. 1.2 This represents a considerable volume of evidence relating directly to the committee’s terms of reference. The committee has received written and verbal evidence from State Governments, local councils, various federal government agencies, wind farm operators and manufacturers, country fire authorities, acousticians, medical experts and representatives from various associations and institutes. In addition, many private citizens have had the opportunity to voice their concerns with the planning, consultation, approval, development and operation of wind farms in Australia. 1.3 Access to all public submissions and public hearing transcripts can be found on the committee’s website. A group of four farmers – all of whom say they don’t want wind turbines on their Lambton County property – say they want to negotiate a better deal for farmers who do want them. A group – called Community Turbine Alliance – made up of farmers from Watford to Wallaceburg held the first of four public meetings Monday night to talk about some of the problems farmers are facing with the current wind leases. Roger Buurma of Brooke-Alvinston says right now, farmers are left on their own to negotiate with wind energy companies and more often than not, they are unhappy with the results. Buurma says there are a host of problems in North Lambton where several wind projects have been built. Farmers have had no say on where access roads are built and the heavy machinery used to build the giant turbines damages land and the tile underneath ruining the land for at least one growing season. Buurma, and other members of the group, say history has shown that farmers can “eventually be bought” and sign wind leases because they’ve been told the project is coming and they might as well be part of that. Buurma and the group say the same tactic worked when Union Gas first started building pipelines. Farmers at the time banned together and collectively bargained for better agreements for the lines to run through their fields. “It’s is naïve to think nobody is going to be interested in turbines,” she adds. A number of people in the crowd of over 200 at the Wilkesport Community Hall thanked the group for their forward thinking and said it seemed like the right way to go. However others were skeptical. Larry Smale was part of the group several decades ago which negotiated agreements with Union Gas. Now he’s a representative of CORE Conserve Our Rural Enniskillen – a group set up to stop turbines from being built in the township. “It is good to see you guys out here; to me, that is the best thing to happen,” says Larry Smale who is a part of the Enniskillen group CORE. And some of the landowners in the room were firmly against the idea of signing any type of wind agreement, no matter how good it is. Enniskillen Township Mayor Kevin Marriott listen through the entire meeting. He understands what the group is trying to accomplish, but he’s concerned. He’s urging farmers to make sure if they are going to sign a lease, they consult their own lawyer.